RBO Hand 2 on the MS Wissenschaft - Das schwimmende Science Center. 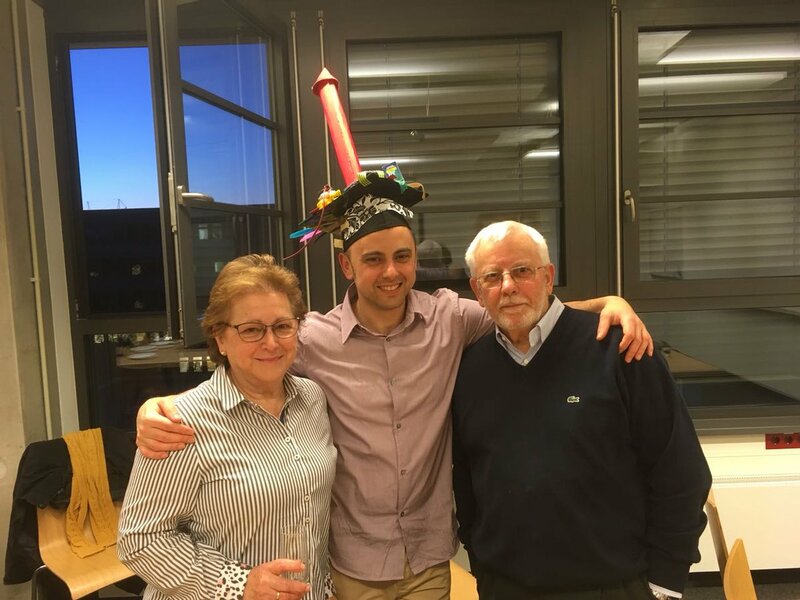 RBO graduate Dr. Rico Jonschkowski received a prize from the Dr. Wilhelmy-Stiftung for his dissertation on "Learning Robotic Perception through Prior Knowledge". Congratulations to Arne Sieverling who successfully defended his Doctoral Thesis on "Robust Motion Generation for Mobile Manipulation - Integrating Control and Planning under Certainty"
Congratulations to Ines Putz for successfully defending her PhD thesis on "Leveraging Novel Information for Coarse-Grained Prediction of Protein Motion". 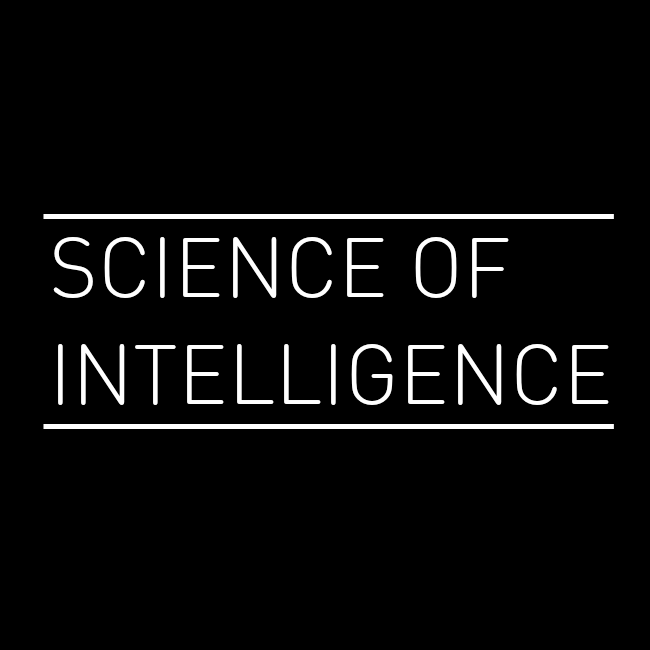 Science of Intelligence is hiring! The excellence cluster Science of Intelligence is currently looking to hire main office staff, including the Managing Director, Administrative Assistant and Finance Officer! If you're interested, please refer to their open positions website. 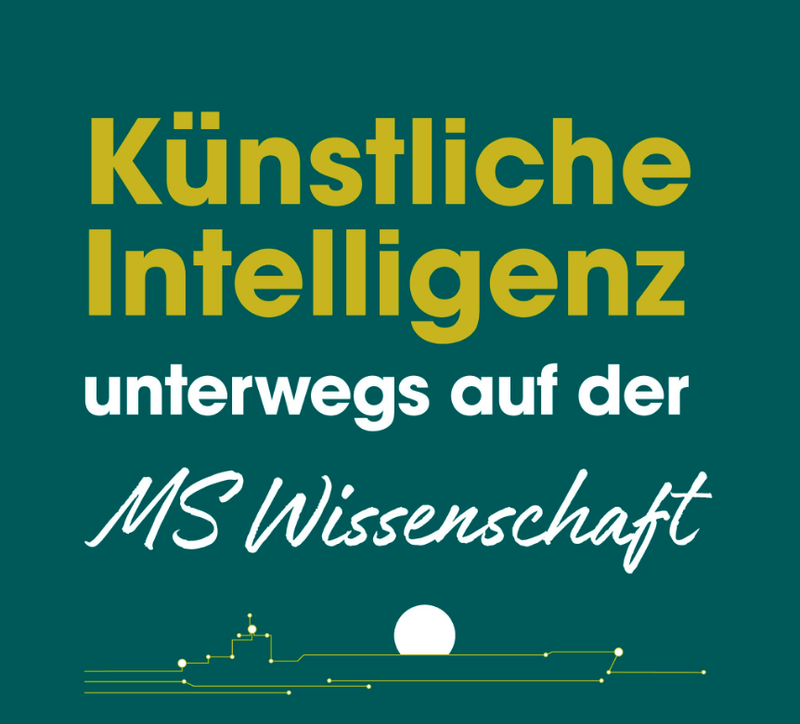 Science of Intelligence (SCIoI) granted for funding! 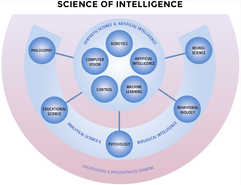 The excellence initiative application Science of Intelligence (SCIoI) got granted for funding. Find out more on the official webpage. 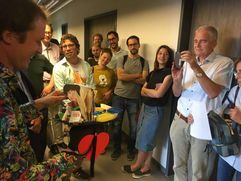 Congratulations to Clemens Eppner who successfully defended his Doctoral Thesis on "Robot Grasping by Exploiting Compliance and Environmental Constraints". We are looking back to a very successful review meeting of the Horizon 2020 SOMA Project and forward to our final sprint. As a postdoctoral researcher Can contributed to our lab in different disciplines e.g. human grasping, motion and grasp planning,.. as part of the SOMA Horizon 2020 project. We wish him a good start in his new position! RBO is participating in the 13th Critical Assessment of protein Structure Prediction (CASP 13). CASP is a bi-annual blind study to assess the current state-of-the-art in protein structure prediction (PSP). We participate with our improved RBO Aleph pipeline for PSP and our improved EPSILON-CP pipeline for contact prediction. Furthermore, for human targets, we will test a radically different/new approach to PSP with RBO-Bet. We welcome the new member of our team: Steffen Puhlmann. He recently graduated at the department of Computational Neuroscience with his master thesis „Development of place cells and grid cells in recurrent networks“. In our lab Steffen's research will focus on Soft-Hand building, sensor design and In-Hand manipulation. "Four aspects of building robotic systems: lessons from the Amazon Picking Challenge 2015"
Two RBO papers have been accepted for ICRA 18: "Coordination of Intrinsic and Extrinsic Degrees of Freedom in Soft Robotic Grasping" and "Physics-Based Selection of Informative Actions for Interactive Perception". Congratulations Can, Armin, Clemens, Roberto, and Oliver! We welcome Marc Dreilich to our lab! He will support our technical team. Congratulations to Roberto Martin-Martin who successfully defended his Doctoral Thesis on Leveraging problem structure in interactive perception for robot manipulation of constrained mechanisms. He will continue as a postdoctoral researcher at Stanford University. We thank Janika Urig for 4 valuable years of cooperation and welcome Elizabeth Ball to the RBO lab. She will take over the administrative work in our laboratory. 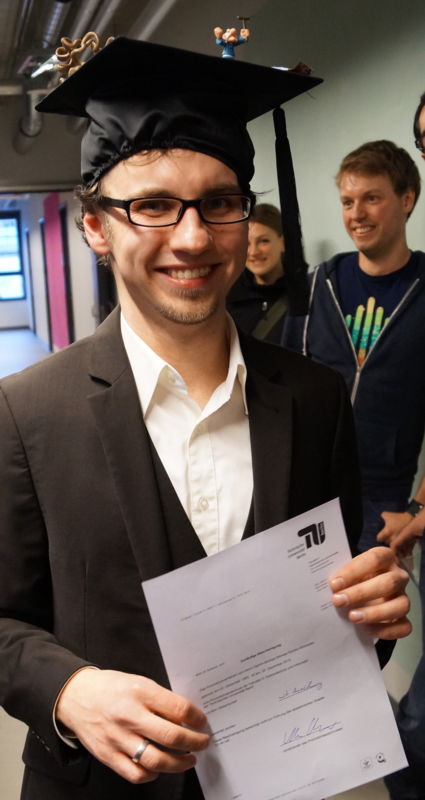 He recently graduated at the TU Delft with his master thesis „Deep Reinforcement Learning for Bipedal Robots“. In our lab Divyam will continue his research with focus on machine Learning and In-Hand manipulation. 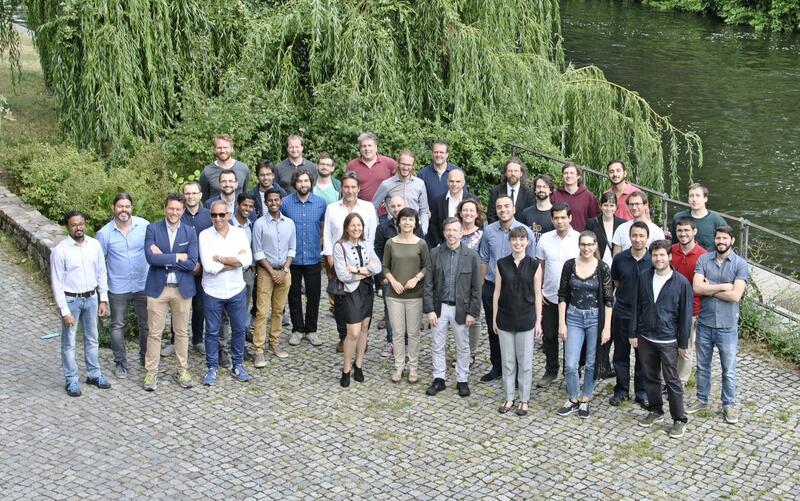 We are looking back to a very successful first summer school on soft manipulation in a beautiful venue - a Benedictine abbey on the Fraueninsel island on lake Chiemsee. Thanks to all the inquisitive participants, keynote speakers and other contributors! Congratulations to Divyam Rastogi and Oliver Brock on their accepted paper. 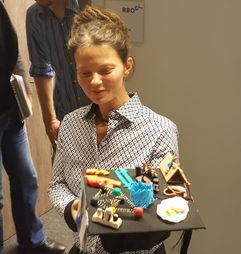 Congratulations to Raphael Deimel who successfully defended his Doctoral Thesis on Soft Hands for Compliant Grasping. He will continue his research as the team leader of the human robot interaction group at MTI engAge. We are now live on Twitter! We will use this account to communicate with the public, share our news and all interesting research we find. 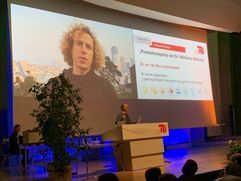 A presentation of the RBO Hand 2 has been part of the opening activities of the Einstein Center Digital Future, the new research center associated to the TU. The German regional TV channel RBB was covering the event (RBB Abendschau). Take a look! We had a TV team at TUB that recorded a 5 minutes report on the idea, manufacturing and testing of the RBO Hand2. 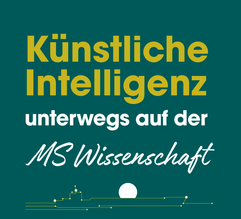 Involved was Raphael Deimel and the TV spot will be aired on 28.02 at 7:50pm on MDR in the series "MDR Einfach Genial"
RBO's paper about the soft hand is one of the most read at IJRR! Our paper "A novel type of compliant and underactuated robotic hand for dexterous grasping" is one of the most read papers at IJRR, a very influential journal in robotics. Congratulations Raphael and Oliver! Do not miss the opportunity of reading it! Two RBO papers have been accepted for the next ICRA: "Achieving Robustness by Optimizing Failure Behavior" and "A Method for Sensorizing Soft Actuators and Its Application to the RBO Hand 2". Congratulations Manuel, Vincent, Gabriel (and Oliver :) )! RBO paper finalist of the "Best Paper Award" at IROS16! Our paper "Probabilistic Multi-Class Segmentation for the Amazon Picking Challenge", which describes the object recognition method we used to win the Amazon Picking Challenge 2015, was among the finalists of the "Best Paper Award" at IROS16 (see video). Cool! The winner this year was "ANYmal - a Highly Mobile and Dynamic Quadrupedal Robot" by Hutter et al. Congratulations! Four RBO papers are going to be presented at IROS16: "A Compact Representation of Human Single-Object Grasping", "Coupled Learning of Action Parameters and Forward Models for Manipulation", "Mass Control of Pneumatic Soft Continuum Actuators with Commodity Components" and "Probabilistic Multi-Class Segmentation for the Amazon Picking Challenge". Congratulations to the authors! Published Code and Data for "Learning State Representations with Robotic Priors"
Our five papers "Probabilistic Multi-Class Segmentation for the Amazon Picking Challenge", "Coupled Learning of Action Parameters and Forward Models for Manipulation", "A Compact Representation of Human Single-Object Grasping", "Learning Dexterous Manipulation for a Soft Robotic Hand from Human Demonstration" and "Mass Control of Pneumatic Soft Continuum Actuators with Commodity Components" were accepted at IROS16! Congratulations to all the authors! Our paper Lessons from the Amazon Picking Challenge: Four Aspects of Building Robotic Systems won the "Best Systems Paper Award" at RSS16! The paper presents our winning entry for the APC and a novel way to compare and characterize robotics systems. The award this year was shared between our paper and An End-To-End System for Accomplishing Tasks with Modular Robots by Gangyuan Jing, Tarik Tosun, Mark Yim and Hadas Kress-Gazit. Congratulations to all the winners! We created a brochure about our recently ended Alexander von Humboldt funding period. It summarizes the research projects that were possible thanks to the AvH Foundation. Take a look here! The RBO paper Lessons from the Amazon Picking Challenge: Four Aspects of Robotic Systems Building has been accepted at the next Robotics: Science and Systems (RSS). Congratulations Clemens, Sebastian, Rico, Roberto, Arne, Vincent and Oliver! RSS16 Workshop on "Robot-Environment Interaction for Perception and Manipulation: Interactive Perception Meets Reinforcement Learning and Optimal Control"
We are organizing a very exciting workshop on interactive perception at RSS16, Robot-Environment Interaction for Perception and Manipulation: Interactive Perception Meets Reinforcement Learning and Optimal Control. Our goal is to compare how interactive perception, optimal control and reinforcement learning address tasks that require to exploit interaction with the environment to jointly solve perception and manipulation. 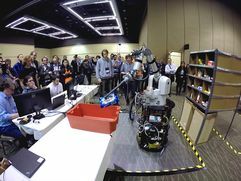 As part of a new collaboration between RBO and FiberLab, the start-up from Fraunhofer HHI presented their fiber-optic curvature sensor at this years SPIE Photonics West by using their sensor to track the shape of the RBO Hand 2. We are excited to have the RBO hand featured at the conference and wish our friends at FiberLab a successful participation. ICRA'16 Workshop on "Nature vs. Nurture in Robotics"
We are very excited to organize a workshop on "Nature vs. Nurture in Robotics" at ICRA 2016. The goal of this workshop will be to discuss how to best combine nature (i.e. engineering) and nurture (i.e. machine learning) to make progress toward intelligent robots. The RBO paper An Integrated Approach to Visual Perception of Articulated Objects will be presented at the upcoming ICRA16. Congratulations Roberto and Sebastian! Michael Schneider passes his PhD defense! Michael Schneider obtained his PhD degree in Computational Biology from RBO@TUB! His outstanding work includes novel methods to leverage new sources of information for protein structure prediction. Congratulations, Michael! Former RBO member publishes paper in Nature! T.J. Brunette, a computation biology researcher at The Baker Laboratory that receive his PhD degree under supervision of Oliver Brock at RBO (UMass), publishes a paper in Nature! His work opens the door to design proteins with a desired structure (closely related to their function) using known repeat proteins. Congratulations, T.J.! 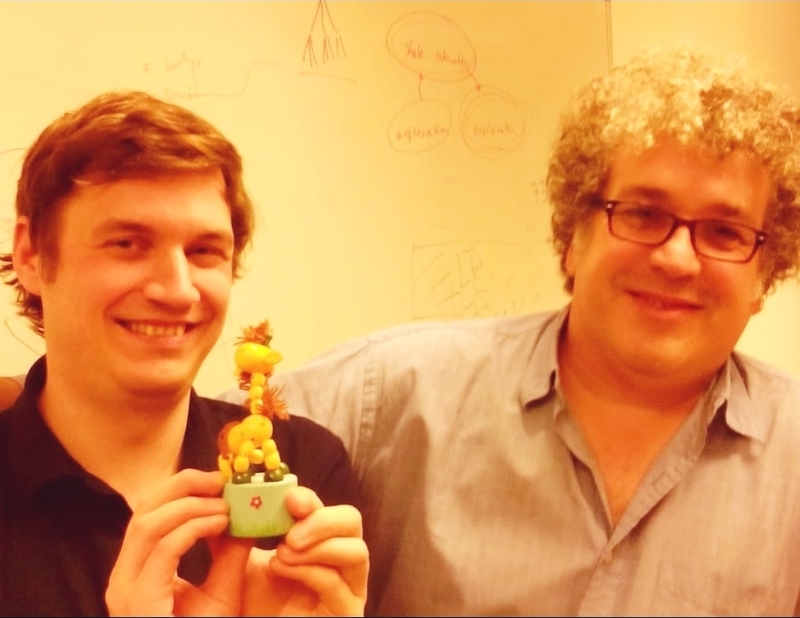 We are very glad to welcome Ingmar Posner from the Mobile Robotics Group at University of Oxford to RBO! He will spend the next months with us, learning and exchanging experiences about manipulation. We are looking forward to the interesting interactions! Patrick van der Smagt visited our lab and gave us a version of his keynote talk at IROS15 about Variational Deep Neural Networks (networks that output a probability distribution). Really interesting! We were invited to show our winner system of the Amazon Picking Challenge at the 32th BVL Logistik Kongress. Our system raised awareness of the future applications of mobile manipulators in the logistic sector. We hosted a meeting of the SoMa (Soft Manipulation) European Project. We thank our partners of Uni Pisa and DLR for the fruitful discussions. Next meeting in EuroDisney! 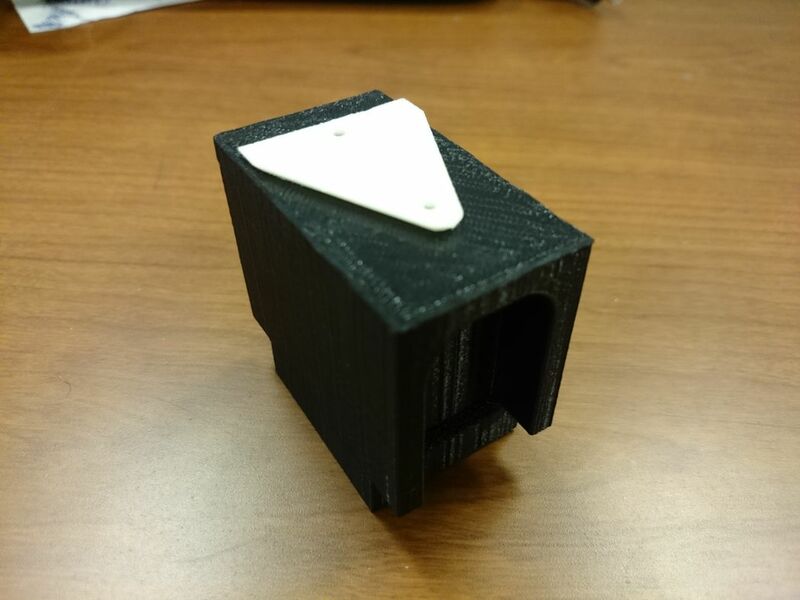 There is a new PR2 adapter available to attach the RBO hand! Please, contact Raphael Deimel to obtain the 3D CAD model. Nick Farrow and Nikolaus Correll from University of Boulder have developed strain sensors which are compatible with PneuFlex actuators. They will stay with us one month to find interesting collaboration projects. We are looking forward to it! During their stay they work on integrating both technologies to provide a versatile sensor-actuator compound for soft robotic devices such as the soft hands. Ron Alterovitz and Chris Bowen from the Computational Robotics Group at the University of North Carolina are visiting us. They will stay one month collaborating with RBO. They are working on demonstration-guided motion planning. Especially they want to find out how to generalize grasp motions learned from human demonstrations. We welcome the two new members of our team, Jessica and Manuel! Jessica's research will focus on grasping strategies with soft-hands as part of the SoMa European project. 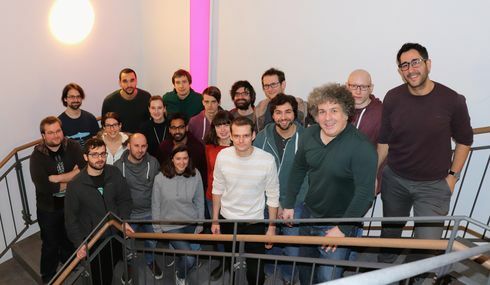 Manuel will be actively involved in the Exploration Challenge, our joint project with University Stuttgart to provide robots with capabilities to explore, understand and exploit kinematic mechanisms in unstructured environments. RBO Team wins the Amazon Picking Challenge! Our Team of the Robotics and Biology Laboratory (RBO) at the Technische Universität Berlin won a highly ranked international robotic challenge yesterday. The "Amazon Picking Challenge", which was organized for the first time this year, is awarded with US$20.000 and 25 teams from Europe, USA and Asia competed for it. The goal of the challenge was to develop a robotic system that autonomously grasps several objects from a shelf. The scenario recreates the process that occurs in an Amazon warehouse when a client buys one or more products. Currently these tasks are supported by robotic shelves which move around autonomously within Amazon's warehouse. With a total of 148 points our team RBO was able to secure the lead. The second place went to the team of the Massachusetts Institute of Technology (MIT) with 88 points. Third place was awarded to Team Grizzly of the company Dataspeed, Inc. with 35 points. Among the other participants were top universities like UC Berkeley and Georgia Tech, as well as many robotic companies. The robot we used for the competition will be shown during this year's Long Night of Sciences on June 13th. Our automated protein structure prediction server RBO Aleph participates in the Continuous Automated Model Evaluation CAMEO. RBO Aleph consistently performed as one of the top servers overall. It performed especially well for hard targets were it is ranked third. Congratulations to our Computational Biology team! Final preparations in Seattle for the Amazon Picking Challenge! Please keep your fingers crossed for us! Our trial will be on Wednesday, 12:40 p.m. local time (9:40 p.m. German time)! Our paper about RBO Aleph, our newest protein structure prediction web server, has been accepted in the web server issue of Nucleic Acids Research. RBO Aleph had emerged as one of the leading ab initio approaches in the last CASP (Critical Assessment of Techniques for Protein Structure Prediction). Congratulations to our computational biology team! Our sports team Psycho-Robot-Proteins won the third place in the Instituts-Cup of TU Berlin. Congratulations to Fabian, Guillermo, Janika, Marianne, Michael, and Rico! On January 7, we are in for a treat. Therefore holds Oliver his hand in the fire. Alex Kacelnik will come by the lab and give a talk at 10. We are looking forward to it! Title of the talk: Spooky problem solving and decision making in birds. Our RBO_Aleph server was ranked as the No 3 server in Free Modelling and our contact prediction was ranked No 1 for long+medium range contacts in the automatic evaluation for CASP 11. These are amazing results for our computational biology team! Congratulations! We have been invited to give a talk at the CASP (Critical Assessment of Techniques for Protein Structure Prediction) conference on the performance of our RBO_Aleph server, which performed among the top groups in the CASP11 experiment in the free modeling category. These amazing results are fruits of the team efforts of our computational biologists. Congratulations Michael, Ines, Tim and Mahmoud! Oliver Kroemer from Jan Peters group will come by on November 26 to present his thesis work during the RBO meeting (10 am). Mark your calendars! On November 5 during the RBO meeting (10:00) Ivana Kruijff-Korbayova will give a presentation about "Human-Robot cooperation in disaster-response scenarios". Ivana coordinates two European projects: NIFTi and TRADR and her research interests cover different aspects of computational linguistics. Michael's paper "Combining Physicochemical and Evolutionary Information for Protein Contact Prediction" got published in PLOS ONE. Congratulations! 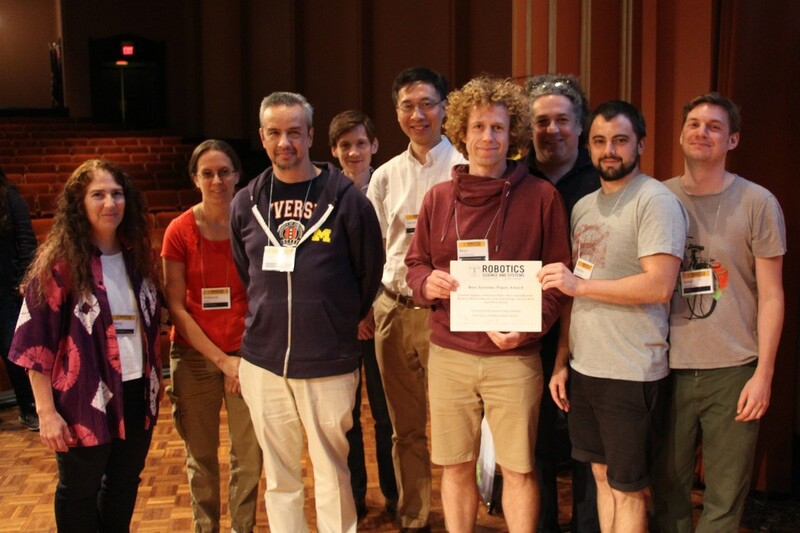 Raphael Deimel wins Best Student Paper award at RSS 2014! 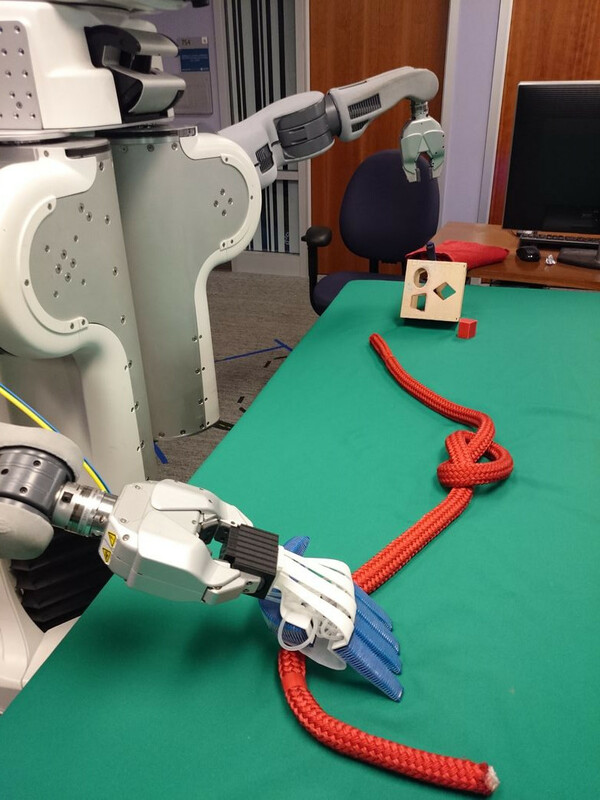 Raphael's paper "A New Type of Compliant, Underactuated Robotic Hand for Dexterous Grasping" wins the Best Student Paper award at RSS! Congratulations! Another great talk is coming our way! Toby Walsh is one of the main players in AI. Please mark your calendars, July 23, 10 am, MAR 5.006! Jeannette Bohg will be visiting our lab on Friday (June 27). She will give a talk at 14:30 in MAR 5.006 about her research on perception for grasping. Do not miss it! We are happy to announce that Prof. Jonas Buchli will visit our lab next Friday (June 20). He will give a talk about ML for walking and agile robots at 10 am in MAR 5.006. It promises to be interesting! Great news! Prof. Dieter Fox will be visiting our lab next Friday (May 16). He will give a talk about RGB-D sensors in robotics perception at 10 am in MAR 5.006. We are looking forward to it! Three RBO papers and one MLR-Stuttgart paper in collaboration with RBO were accepted at the next IROS14. 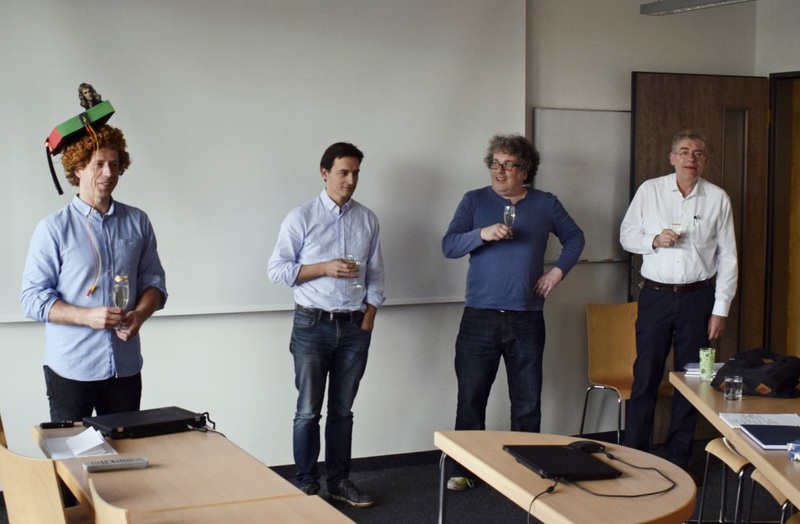 Congratulations Malte+Sebastian, Stefan (MLR)+Johannes (MLR), and Roberto! Two RBO papers will be presented at the upcoming RSS14. Congratulations Raphael and Rico! Sebastian will present our IROS2014 paper "Prior-Assisted Propagation of Spatial Information for Object Search" at the ICRA workshop "Robots in Homes and Industry: Where to look first". Two RBO papers will be presented at ICRA14: "Sensor-Based, Task-Constrained Motion Generation Under Uncertainty" and "Extracting Kinematic Background Knowledge from Interactions Using Task-Sensitive Relational Learning". Congratulations Arne+Nico, and Sebastian+Tobias! Oliver will present our paper "Exploitation of Environmental Constraints in Human and Robotic Grasping" at the upcoming ISRR in Singapore! After three and a half year of work, the European FP7 project First-MM was finished successfully. 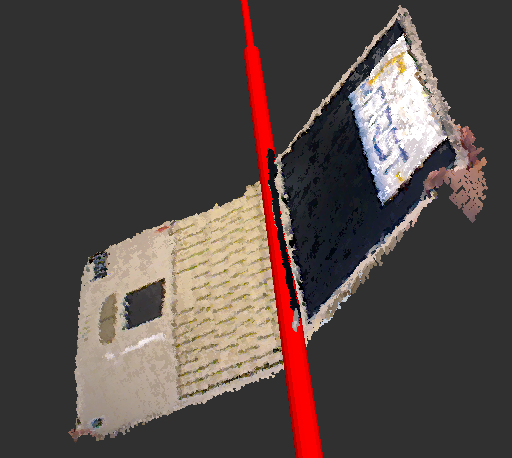 RBO's part in the project was researching motion generation methods for mobile manipulators. We also implemented the motion planning algorithms that were used in the final presentation last week. In the final demo a mobile manipulator successfully detected, classified and grasped bottles from shelves only using on-board sensors. Understanding intelligence is one of the great scientific challenges of our time. Yet, in spite of extensive research efforts spanning many scientific disciplines, our understanding of intelligence remains fragmented and incomplete. 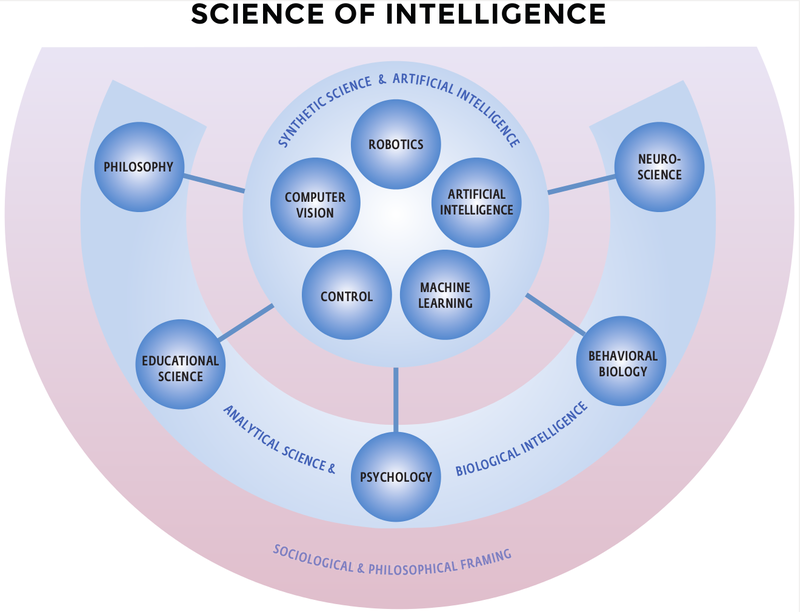 Science of Intelligence (SCIoI) is a transdisciplinary research approach. 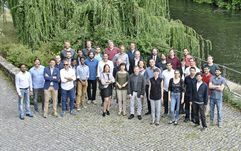 Researchers from FU, HU, and TU Berlin work together in order to obtain a better understanding of intelligence. Their cooperation in the central fields of thinking, learning, and perception offers an interdisciplinary environment to students. The SCIoI Master Track is transmitting basic knowledge about potential future-oriented technologies very much appreciated both by industry and academia.